With the rise in technology since I was a child, people have become more and more dependent on their gadgets…yeah I said gadgets. At the age of 5, I would call my best friend Katie from my house to tell her I was coming over. Then when I got there, I would call my Mom from Katie’s house phone to let her know I arrived. If you said you were going to meet someone at the 7-11 over the phone…they just showed up. You didn’t send them a text message or call their cell on the way, because those things didn’t exist! You just went where you were supposed to go, and trusted the other person would do the same. Invention of the cell phone + invention of the internet and e-mail = the invention of the smart phone. Our ticket to accessing anyone, anything, and everything we want at any time of day or night. We make a phone call, send a text message, check our e-mail, update our Facebook status, take a photo and upload it to Twitter…all on this one device. If we forget our smart phone at home before we leave the house, we freak out and think our life is over because we won’t be able to get that one e-mail or text message or phone call. We have become so dependent and reliant on these gadgets to get us through our daily lives. My goal with this adventure was to shut down–turn my cell phone off for a week. I decided that my honeymoon was probably the best time to try this considering I should be focusing my attention on my new hubby anyway right? Who needs the rest of the world when you are on your honeymoon? The first couple days of the trip, I needed to use my phone for small things like booking an excursion for our trip. But two days in, I turned my cell phone off, and if we needed to make any more calls, it became my new husband’s job to call. 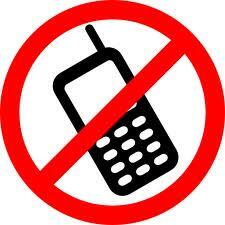 I ended up keeping my cell phone off for almost TWO full weeks instead of the one I had planned on! I admit, I did check Facebook via laptop a few times to see new wedding photos people had posted (come on I couldn’t COMPLETELY shut down! ), but I did not make any comments or postings of my own, and I kept that phone off for over 12 days. I made a call to my family our last day there, because I was dying to tell them all about our trip, but I had already made it well past a week by that point. It was kind of amazing to shut myself from off from the rest of the world, and just ENJOY spending time with my new husband, and enjoy the beautiful island of Kauai. I wasn’t worried about the latest Hollywood gossip or what everyone else what up to at home, and there were no distractions from work, family, friends, or the hustle and bustle of every day life. I just took some time to sit back, relax, take in the ocean, the beautiful views, the amazing cliff hikes, the horseback ride, and everything else we enjoyed while we were there. I seriously recommend that everyone should shut down from technology the next time you go on vacation, and just really enjoy this world we live on for what it is, and not the gadgets we have become glued to. Nice Job Gina, No wonder I did not hear from you for almost two weeks.